The University of California, Berkeley has just announced the formation of a new blockchain-focused accelerator, the Berkeley Blockchain Xcelerator. The new accelerator will help entrepreneurs pursue ventures in the blockchain space, tap into the vast resources of UC Berkeley and Silicon Valley, and receive expert industry guidance to create high-value blockchain startups. The effort was launched as a joint venture between Berkeley Engineering’s Sutardja Center for Entrepreneurship and Technology, Blockchain at Berkeley, and the Haas School of Business. This is the first initiative of its kind that brings together different groups from UC Berkeley to work toward the common cause of building a blockchain and technology ecosystem to further our mission of education and mentorship in the blockchain space. The goal of the Xcelerator will be to support early stage projects in blockchain by providing knowledge and connections to industry experts and resources to entrepreneurs and founders. The program application opens today for founders globally, and will typically be comprised of a 12 week accelerator experience, taking the founders through crucial elements of building a technology startup. 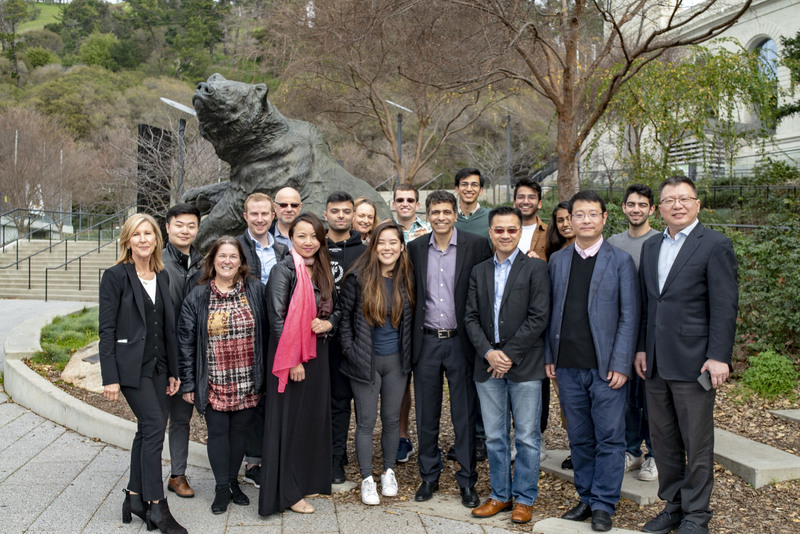 UC Berkeley’s network of serial entrepreneurs, alumni, faculty, seasoned investors and capable students will be available as mentors and advisors for the selected portfolio companies to guide them through the program and prepare them for demo day. Portfolio companies will also receive access to office space, funding and partnership resources. The Berkeley Blockchain Xcelerator, an educational program, has been sponsored in part with generous support from the Berkeley X-Lab Fund, a unique venture capital fund focused on making strategic investments in UC Berkeley’s blockchain ecosystem and associated emerging technology initiatives. UC Berkeley is the world’s #1 public university and ranks as the #2 university for startups and entrepreneurs according to Pitchbook. UC Berkeley has been at the forefront of innovation in emerging technologies, such as blockchain and cryptocurrency. The SCET Blockchain X-Lab was established to provide the UC Berkeley community with technical expertise and knowledge resources to develop industry shaping projects for the blockchain space. The Sutardja Center for Entrepreneurship & Technology is a global innovation hub headquartered at UC Berkeley’s College of Engineering, where aspiring entrepreneurs take deep dives into the world of technology entrepreneurship and embark on the path to developing exciting new ventures. The Center researches emerging technologies in its labs and offers a suite of courses and programs for students, executives, and global innovators. The Center has recently launched new labs focused on innovation in data science, artificial intelligence, blockchain and meat alternatives. Additionally, academics from around the world visit the Center to learn about the Berkeley Method of Entrepreneurship, a unique innovation pedagogy that focuses on mindset training for innovators and entrepreneurs. Blockchain at Berkeley is the largest university-based ecosystem for blockchain technology that drives innovation by educating the community, conducting protocol-level research, and helping companies benefit from blockchain technology by building and integrating solutions. Blockchain at Berkeley members are comprised of 100+ diverse undergraduate and graduate students from UC Berkeley, with advisors from both industry and academia. Blockchain at Berkeley has designed and taught free, popular for-credit courses about blockchain and cryptocurrencies, with over 70,000 students members signed up online. The Consultancy has trained skilled developers and consultants and built POCs for various Fortune 100 companies. The organization promotes a culture that drives innovation; members have produced various research projects, some of which have spun into startups such as FourthState, Mechanism Labs, and PartialF. Within UC Berkeley’s Haas School of Business, the Berkeley Haas Blockchain Initiative, housed within the Institute for Business & Social Impact in collaboration with the Master of Financial Engineering Program, links to the rich array of expertise, courses, research and other activities related to blockchain, cryptocurrency, and digital payments underway across the Berkeley campus. These links include strategic collaborations with Ripple’s University Blockchain Research Initiative. Also joining this effort is the Berkeley Haas Entrepreneurship Program that integrates entrepreneurial thinking into the Haas student experience and assists students in launching new ventures.